Two years has passed since the implementation of the employer mandate under the Affordable Care Act (ACA) and unbeknownst to many the IRS has yet to enforce penalties for employers’ failures to comply with the employer mandate. Here were the penalties for employers not offering coverage under the ACA during 2017 These are the “A” and “B” penalties under Code Section 4980H, which correspond to (A) penalties for failure to offer minimum essential coverage, and (B) penalties for those that offer such coverage, but fail to meet minimum value and/or affordability requirements. Penalty “A” Carries a penalty of more than $2,000 for each full-time employee not offered health insurance coverage by a business, if at least one full-time employee goes onto a healthcare exchange and obtains a tax subsidy. 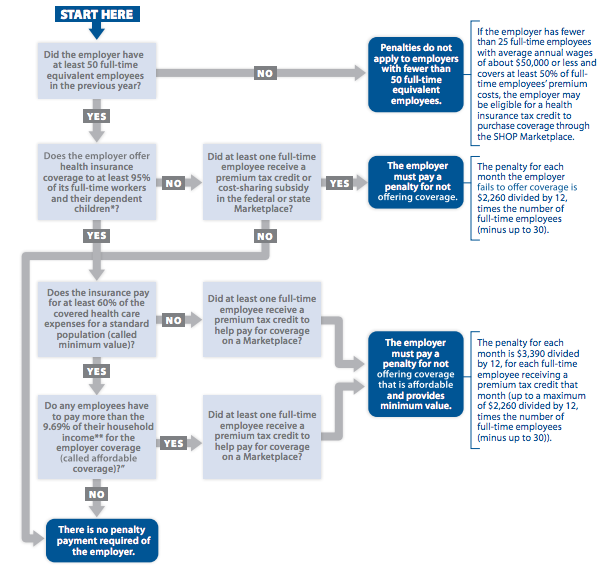 Penalty “B” Carries a penalty of more than $3,000 for each employee who goes onto a healthcare exchange and obtains a tax subsidy if a business had offered that employee healthcare coverage, but that coverage was determined to be either unaffordable or did not provide minimum value as per ACA regulations. Although it may seem to some business owners the IRS would not be enforcing the employer mandate, a recently issued report by the Treasury Inspector General for Tax Administration (TIGTA) tells us business owners may no longer be off the hook. On April 7, TIGTA issued “Affordable Care Act: Assessment of Efforts to Implement the Employer Shared Responsibility Provision.” In this report, TIGTA explained that the ACA Compliance Validation (ACV) system would be used to identify potentially noncompliant applicable large employers and calculate the “A” penalty under the employer mandate. The IRS has been developing the ACV system since July 2015, with a scheduled completion date of January 2017. However, “the implementation of the ACV system has been delayed to May 2017,” the report, states. The IRS is developing an automation tool outside of the ACV system to identify nonfilers and applicable large employers subject to the “A” penalty. Similarly, the IRS is developing an automation tool to identify nonfilers and applicable large employers subject to the “B” penalty. The report explains that although the IRS is still in the process of implementing tools and systems needed to identify noncompliant businesses subject to the employer mandate, the federal tax agency will be ready to put those systems into effect sometime after May 2017. Once the systems are in place, the IRS will be able to mass identify noncompliant employers. This will allow the IRS to send en masse notices to noncompliant employers for any and all reporting years. What this means is that the current lack of IRS notices for noncompliance with the employer mandate does not imply that the IRS does not intend to enforce the employer mandate. It also marks the start of the IRS ACA audit process for 2015 reporting. The audit process for 2016 reporting may also be getting underway this year. A recent industry report projects that companies could face up to $31 billion in ACA penalties for the 2016 tax reporting period alone for noncompliance with ACA requirements. 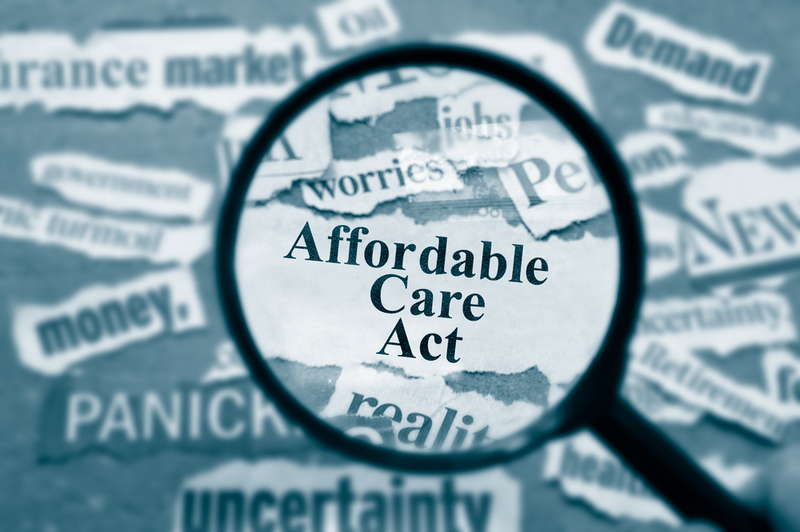 These penalties, which include the Section 4980H penalties and sections 6721 and 6722 penalties, may be imposed on what the ACA terms “applicable large employers” – those employers with 50 or more full-time or full-time-equivalent employees. PEOs and internal company accounting departments should encourage businesses that have so far not filed the required ACA information with the IRS to do so as soon as possible. This will help to minimize filing penalties and possibly avoid a full-scale IRS audit that could be financially detrimental to many small business. Emplicity understands that HR Outsourcing should be simple and meaningful. As a Professional Employer Organization (PEO), we strive to be a great partner in supporting your business. If you would like to request more information on how we can assist your needs, please reach out to us at 877-476-2339. We are located in California – Orange County, Los Angeles, and the greater Sacramento and San Francisco area. NOTICE: Emplicity provides HR advice and recommendations. Information provided by Emplicity is not intended as a substitute for employment law counsel. At no time will Emplicity have the authority or right to make decisions on behalf of their clients.